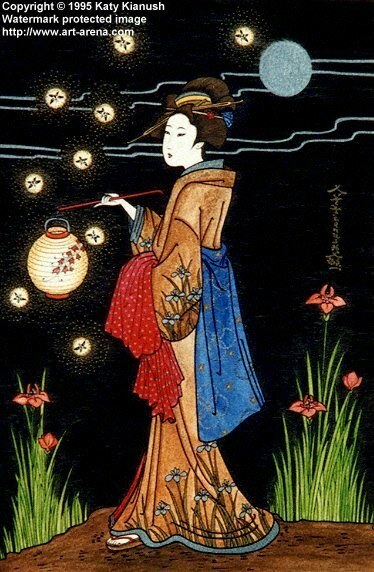 The firefly dance for a maiden in the light of the lantern and the moon. Two similar versions of this painting were commissioned by collectors in the UK and Switzerland. This painting has also been publised in the book "As Long as the Moon Shall Rise" (Holy Cow! Press, published in the US), as an illustration for "A Japanese Myth" .